Waitangi Day is New Zealand's National Day. Some facts about New Zealand. New Zealand is called Aotearoa in Maori language, meaning "land of the long white cloud". Maori are the local people. The white European settlers were called "pakeha". Maori are from Polynesian origin. Legend said they came down by canoe to their mythical place called "Hawaiki". Maui, a semi-god, magically fished the North Island up out of the sea, from his canoe, the South Island. After the fight of his greedy brothers, hitting the fish, the North Island has important mountain ranges and valleys. Wellington is the capital although Auckland is the most populated city. 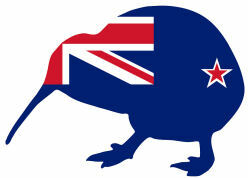 This is New Zealand's flag, well, not in a kiwi shape. New Zealand national anthem sung both in Maori and in English. The New Zealand dollar has been their local currency since 1967. In their diet there is a lot of "kumara" a sweet potato and they store it in a "pataka", decorated with carvings. the "haka taparahi" for a joyful expression of private or public feelings. The "peruperu", performed before going to a battle. It was to invoke Tumatauenga, the god of war, and warned the enemy of the fate awaiting him. It involved fierce facial expressions and grimaces, poking out the tongue, eye bulging, grunts and cries, and the waving of wars weapons. 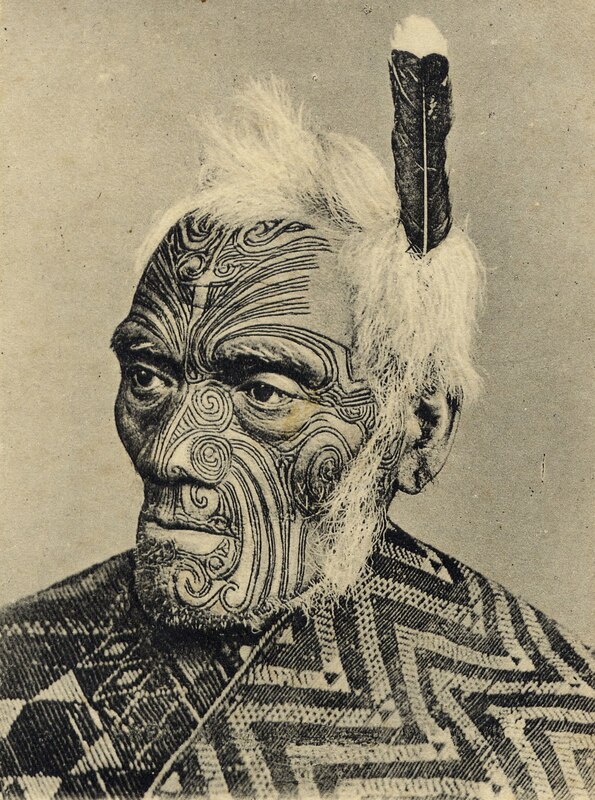 According the Maori mythology, tattooing commenced with a love affaire between a young man by the name of Mataora "Face of Vitality" and a young princess of the underworld, Niwareka. One day however, Mataora beat Niwareka, and she left Mataroa, running to her father's realm. Mataora, filled with guilt and heartbreak followed after his princess. After many trials, and after overcoming numerous obstacles, Mataora eventually arrived but with his face paint messed and dirty after his voyage. He begged for forgiveness. Niwareka's father offered to teach Mataora the art of tattooing and the art of "taniko", the plaiting of cloak borders in many colours. New Zealand’s founding document established British law in New Zealand, while at the same time guaranteeing Maori authority over their land and culture. The Treaty is considered New Zealand’s founding document. After Captain Cook’s exploration of New Zealand in the late 18th century, an increasing number of settlers came to New Zealand. 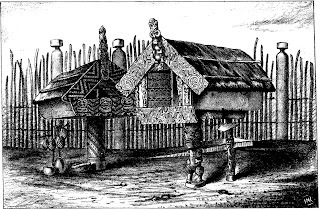 By 1839, there were an estimated 2,000 Pakeha (Europeans) living in New Zealand. In 1833, after increasing lawlessness amongst traders and settlers, the British government appointed James Busby as British Resident to protect British trading interests and counter the growing lawlessness. In 1835, the French were looking to trade and settle in New Zealand and had started to buy land. In response to this, the British Crown signed a Declaration of Independence with 34 northern Maori Chiefs. 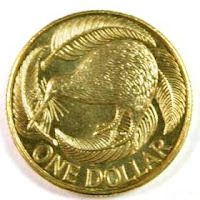 This declared New Zealand an independent state under British rule. It also stated that ‘no claim could be made on New Zealand without Maori agreement’. Despite Busby’s presence, lawlessness, and the number of dubious land sales to Pakeha, increased. The British Government decided there was a need for some effective rule in New Zealand. In 1840, they sent Captain William Hobson there as Lieutenant-Governor. His mission was to acquire the Sovereignty of New Zealand, by way of a treaty with the native Maori Chiefs. A treaty was drawn up and translated. 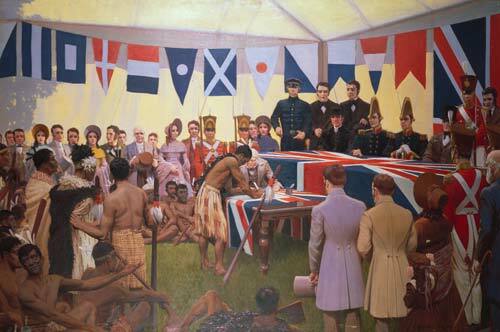 After a day of debate, the Treaty of Waitangi was signed on February 6, 1840, at Waitangi in the Bay of Islands. Forty-three Northland Chiefs signed the treaty on that day. Over 500 Maori Chiefs signed it as it was taken around the country during the next eight months. The grounds and building where the treaty was signed have been preserved. Today, the Waitangi Historic Reserve is a popular tourist attraction. There is a large Maori meeting house, the colonial mission house, an historic flagstaff, as well as a very long "waka taua" (Maori war canoe). The English and Maori versions of the treaty both contain three articles. However, as the Treaty was written and translated by people with little or no legal experience, the Maori translation differs widely in interpretation from the English version. The first article covers sovereignty. The English version states that Maori give up their ‘kawanatanga’ (governorship or sovereignty) to the British Crown. However, while the English version describes a complete transference of power to the Crown, the Maori version implies a sharing of power. 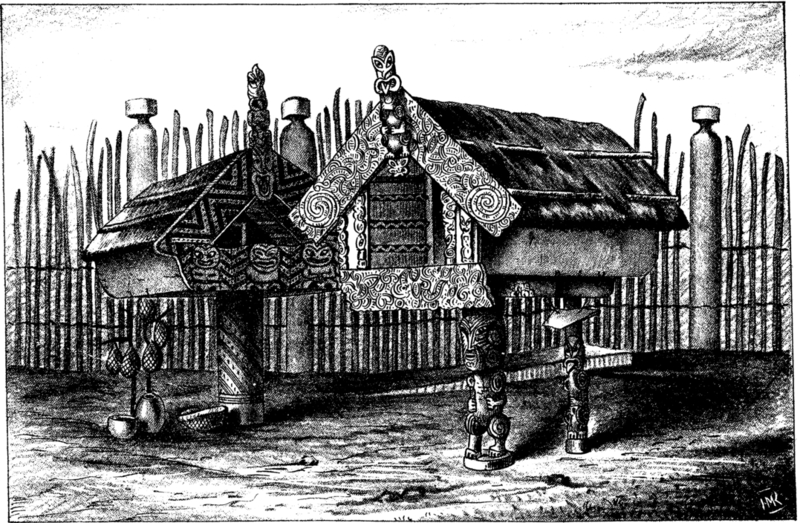 The second article concerns ‘tino rangatiratanga’ or chieftainship. The Maori version promises much broader rights for Maori in regard to possession of their existing ‘taonga’ (treasures). The English version gives Maori control over their lands, forests, fisheries, and other properties. But the Maori version, with its use of the word ‘taonga’, implies possession and protection of things such as language and culture. The third Article promises Maori the rights of all British subjects, while protecting traditional and customary rights. Although it is referred to as New Zealand’s ‘founding document’, many of the rights guaranteed to Maori in the document have been ignored. Despite the protection offered in the Treaty of Waitangi, Maori lost considerable amounts of land through the 19th and 20th centuries. The manner in which the land was lost was often questionable, and led to considerable protest from Maori. In 1975, the government established the Waitangi Tribunal. This tribunal was established to honour the treaty as a relevant and living document. Since then, the Waitangi Tribunal has ruled on a number of claims brought by Maori "iwi" (tribes). In many cases, compensation, often in the form of financial payments and land, has been granted. In the last ten years, some particularly large settlements have been made between the Government and major iwi, including Tainui of the Waikato, and Ngai Tahu of the South Island. Much of the compensation has been invested in order to provide educational and health services for members of the iwi. Which translation of the Treaty of Waitangi is the right one? Both. Because both versions are signed, the Waitangi Tribunal is instructed to have regard to both texts when making decisions. (taken from http://www.newzealand.com/int/article/treaty-of-waitangi/). You can do the following listening from the British Council web page. Waitangi Day, nowadays, should mean respect to both cultures living in New Zealand.